The build-up is almost over and Nintendo's Digital Event is just hours away. After E3 leaks last week this broadcast appears to have escaped too many leaks, and as a result anticipation is starting to build nicely. We've had shots fired by Microsoft, Sony and third-party Media Briefings, all with their merits and exciting reveals. Perhaps most intriguingly some of the biggest Sony and Microsoft reveals tackle two of Nintendo's biggest strengths - nostalgia and beloved, established brands. Now it's Nintendo's turn, and once again it'll be a pre-recorded - and presumably slick - presentation that'll have the luxury of employing cut-aways to multiple locations, and we hope the same level of humour enjoyed last year. Ultimately it's about the games, though, and we already have some knowns and unknowns. Some of those we expect are below, and as usual we've applied what we think is logic to consider what we can reasonably expect to see - this is Nintendo, though, which has an impressive knack for surprising us. We do know - assuming Nintendo was on the level - that we won't see the NX platform or any smart device games, so they're not in our list. We do reference some early leaks that have previously been reported on the site in the past week, so be warned. So, here are some of the exciting details and reveals we expect to feature - we look forward to seeing whether any of them are proven right. It's a big year for Super Mario, and this writer is rather pleased that the incredible final hour of the Nintendo World Championships brought some hype around Super Mario Maker. While the "oh no, more Mario" attitudes are justifiable, we saw little of the plumber in 2014 and - let's not forget - some of the greatest games of all time and recent years are Mario titles. Lots of Mario may not be such a bad thing. It's the 30th Anniversary of Super Mario, of course, which drives speculation that we'll see new titles featuring the mascot. Super Mario Maker is looking rather impressive, but there's a clear desire for a fully fledged new entry from the development masters at the big N - examples on our wishlist include Super Mario Galaxy 3, Super Mario Sunshine 2, or even Super Mario Sunshine HD, while made-up rumours have also plugged the possibility of Super Mario 3D Land 2. All have some logic behind them, while the desire for a 2D Mario is perhaps less reliable as a wish due to the aforementioned Super Mario Maker. Of course, like in the 'Year of Luigi', some other franchises may creep out featuring the plumber. The Wii U is yet to have a Mario sports game, for example, and we've spoken about our desire for Paper Mario, too. In summary, we can expect a lot of Mario. This is a definite, as Nintendo has previously promised that Star Fox will be shown at E3, and the most recent release schedule from the company has reiterated that it's a 2015 release. We've written in the past how impressive Nintendo's been in its secrecy around this title - we can desperately read between lines in Shigeru Miyamoto interviews but, ultimately, we know very little about this game. That should change in a big way today, and it could be one of Nintendo's most high-profile announcements. Bear in mind that we didn't even see it properly at E3 2014, so today will bring our first real look at Shigeru Miyamoto's vision for the franchise not just on Wii U, but in general. Last year the talk was of cinematic gameplay and intuitive, innovative usage of the GamePad, and we'll see whether that comes through once again. We're hoping for a spectacular reveal, a final name and maybe even a release date. The 3DS (and now New Nintendo 3DS) remains Nintendo's go-to system for positive sales news and to generate profits. The portable family is entering - probably - its final 2-3 years, however, and sustaining momentum through the rest of 2015 and beyond will be a key challenge for Nintendo. Though there are some promising titles confirmed to be on the way for 3DS, its release slate could do with some fleshing out. We anticipate the portable will have quite a focus in the event, and could be the source of surprises with surprisingly quick turnarounds. Beyond that, there are known games yet to be detailed further - Fire Emblem If is heading the West in early 2016 but, courtesy of the game being finished and due imminently in Japan, could be outlined further. Likewise Pokémon Super Mystery Dungeon, which is out this year in North America and next year in Europe. It's safe to say that we'll get localised information on the previously leaked Hyrule Warriors for the 3DS too. The 3DS isn't short of RPGs and games to appeal to a dedicated crowd, but we feel that E3 will be the place for some titles with broader appeal. Animal Crossing: Happy Home Designer will fall into this. We're expecting one or two major surprises, and the emergence of the Metroid-like Blast Ball will raise hopes for that franchise, too. This category is boring but important - Nintendo has a number of confirmed games without firm release dates. Providing solid dates will help gamers plot their Wii U and 3DS purchases, of course, and give us an idea of Nintendo's strategy for the Fall and Holiday seasons this year. We expect dates for the likes of Super Mario Maker - rumoured to be 11th September - while the big one for this writer is Xenoblade Chronicles X. Already out in Japan for some time, this enormous RPG from Monolith Soft was a highlight of E3 2014, and we have little doubt that localisation teams have been working feverishly to translate and tweak many thousands of words in dialogue and menus, not to mention voice recordings. Another Wii U release is Fatal Frame: The Black Haired Shrine Maiden, which is pleasingly due this year, while Yoshi's Woolly World still doesn't have a date in North America. We may even learn more on the release plans and fate of last year's GamePad concept demos - Project Giant Robot and Project Guard. If there were 40 hours in every day in the past week your humble writer would have shared an editorial stating that Nintendo needs to stop apologising about amiibo stock issues and actually resolve the problem. 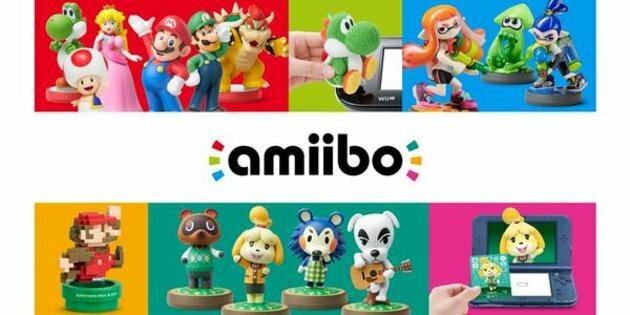 Perhaps that Talking Point will still come, but we anticipate that - at some point - we'll get the usual expression of regret over amiibo shortages. Once that's done, expect more amiibo to be announced. Nintendo of Spain earned the company's internal dunce cap by leaking an 8-Bit Pixel Mario and Animal Crossing figurines on a web page graphic, and they're certainly logical. It would have been a shock if Super Mario Maker didn't have an amiibo, while the AC figures merely perpetuate the instinct that Animal Crossing is coming to Wii U. The home console is due a full game in follow-up to Animal Crossing: New Leaf, and Happy Home Designer could be an accompaniment; on the flipside, perhaps the Wii U's experience will also have a heavy focus on the NFC figurines and cards, like the 3DS game. That's speculation, but there's plenty of logic behind it. Beyond that, who knows? The concept of amiibo cards is coming with Happy Home Designer, and there's clear fan-demand for that to spread to Pokémon, which could double as a spin-off to the trading card game and bankrupt us all. Surprise titles could also have their own accompanying amiibo, too. The NFC toys and cards are sure to appear - hopefully they'll appear in stores in decent numbers, too. This final entry perhaps falls more under our hopes and dreams for E3, and like with any Digital Event there's hope that beloved brands will make an appearance, whether for the first time in a number of years or as the continuation of a series. We've already mentioned Animal Crossing on Wii U, and the Metroid-like vibe of Battle Ball - an impressive reveal trailer for Metroid Prime IV on Wii U or a 2.5D Metroid Dread on 3DS could certainly be a useful mic drop. Pokémon fans may hope for Pokémon Z or a similar main-entry series, and we'd also love to see Kid Icarus return, perhaps in the hands of a studio like Next Level Games. The list of franchises could go on and on. Talking of developers and related brands, both Retro Studios and Next Level Games are working on mystery projects - hopefully the time has come to lift the lid on those titles, whether they've been guessed above or otherwise. Those are the key areas we expect to be covered in the Nintendo Digital Event - what do you think, and what do you want to see the most? Let us know in the comments below, and be sure to join us on Nintendo Life for the live stream of the broadcast, live blogging, live chat and all of the post-broadcast coverage and reaction you can handle. Metroid Prime 4 on Wii U would make me a very happy person! Give us game & watch gallery 5!! I would definitely love Metroid Prime 4! I'd even love a Metroid Prime Hunters 2, loved that game. All I want is a new Wave Race, a new F-Zero, a new 1080 Snowboarding, a new Metroid, a new Battalion Wars, and several new IPs. Is that really so much to ask for?! I think we can expect some new DLC for Mario Kart 8 (perhaps Diddy Kong and a few other Ninty favourites like Kid Icarus? ), a collection encompassing all of Miyamoto's new games that utilise the gamepad, F-Zero announcement along with a new Metroid, a few new surprise 3DS games, including an update on Bravely Default Second and a wad of new titles for the Virtual Console that will be available (Direct to you!) after the presentation. @Gamer-Jay Yeah me too. Not many people rated Hunters but I loved it! I want new announcements. I want minimum amount of time showing off more Wooly World, Xenoblade and Mario Maker. This is just personal preference, but I've already decided to buy all those. I think Animal Crossing Wii U is a dead cert. Also expecting a price cut, effective immediately, which would explain the delay on the Splatoon bundle. I think the Blast Ball reveal was weird too, and I'm expecting it to be part of a new 3DS Metroid game. We'll see new games from Retro and Next Level, but what? Well, if Pokemon Z is NOT annouced, all Poke logic is dead. I expect my mind to explode from all the awesomeness. Anything less will be a fail in my book. I think something has to launch on the eShop straight after the event, what are the bets? Snes Remix? Does Project Giant Robot include Johnny Sako and his friends? funny I was browsing Hulu last Week and came across that show I used to watch when I was 6 years old. yep I'm older than dirt. I hope we see at least one of the next 3 games announced for north america and Europe Dragon Quest VII, Dragon Quest VIII and Dragon Quest X. its going to be a darn shame if none of those get ported. its getting a little late for Dragon Quest X but I'm still hoping for it anyway on 3DS or Wii-U. Right now I'm loving the Eshop games, especially Japanese Railway Sim. What a pleasant surprise that game has been, I hope we see the sequels get ported. I'm worried about the Wii-U but the 3DS definitely has some great times ahead for us. I'm actually thinking of trading my Wii-U for a New Nintendo 3DS. I just don't play it. hopefully this year will change all that with Xenoblade. I would love to see a game featuring Arino from Game Center CX, please, Nintendo! It could be, I don't know, a collection of Nintendo titles Arino has beaten before? You know, for the VC? Also, Nikki's Travel Quiz, please! @Peach64 Personally I will be slightly disappointed if they announce a new Animal Crossing for the Wii U... it just doesn't sit well with me and I'd prefer a portable version. The Wii effort was poor and didn't really push the series forward, unlike the 3DS which was incredible. I still feel there's a lot of life left in the current version and it really doesn't feel long ago since it hit our shelves. All the rest of the possibilities are exciting though!!! Eeeeeep so can't wait!!! @A01 I would be so down for SNES remix, you have no idea! @sikthvash I literally just bought New Leaf a month ago to play with my girlfriend who just got into gaming. There's no way I'll be buying a home console version of the same thing. Now those animal crossing amiibos? I'll take em! Project giant Robot is still listed as it's own game coming out this year.I would like more information about that. I'm torn between wanting a sequel for Sunshine or having a new Paper Mario title announced but if neither of those happen I wouldn't mind seeing a New Luigi's Mansion. Man I'm so hyped i can't sleep! Super Mario 3D World 2 would also be a great surprise.The first was awesome. Nintendo is really going to have to bring it today. I wasn't expecting much out of the other conferences, but I thought Microsoft impressed with that hologram-like thing for Minecraft (even though I don't play that game, it was very impressive and the possibilities going forward are endless)... and Sony knocked it out of the park. Shenume III is what did it for me, and I am still on a huge high from that reveal. It's already reached its kickstarter goal. EA was boring and sports-loaded as always, and Ubisoft didn't disappoint with this vulgar and awkward moments right from the get go. I think an Animal Crossing Wii U is a lock, and a Metroid also has high possibilities. I think Mother 3 isn't off the table, either, with Earthbound: Beginnings coming out Sunday - that could have been released just to prime us for what most people seem to want... so we'd have the entire trilogy available to us. A cool as hell Metroid game would do it for me, probably. Another Zelda reveal. Gamecube Virtual Console (and a boatload of VC titles from all gens). Star Fox info. Xenoblade, Fire Emblem x Persona and Mother 3 release dates. Pokemon Red and Blue 3D Remake for Wii U. 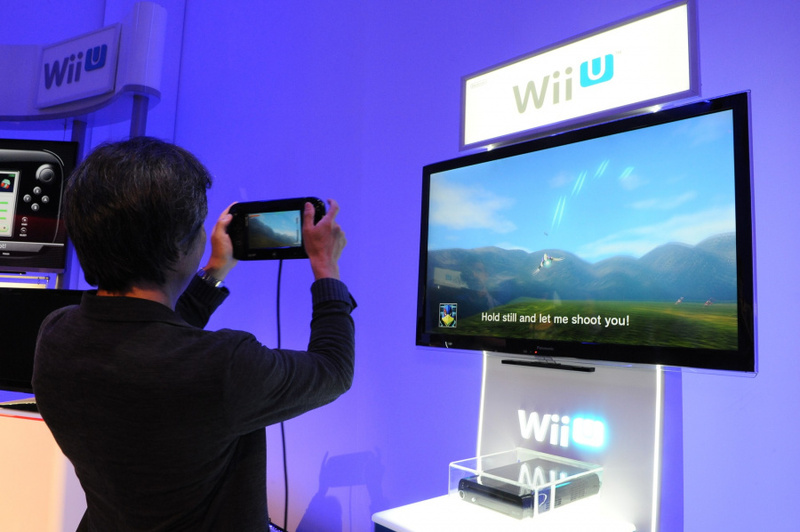 A new IP for Wii U. There are ways they can make a cool DIGITAL EVENT, but will it reach the heights of FF7 and TLG? Nintendo will have to bring out THE BIG GUNS! Microsoft's was boring boring boring with a five minute ad-break for EA Access. Only interesting thing was the indie segment, the rest of the games on show were grey-brown shooters and a racing game (didn't a Forza come out recently?) Holowhatever looks cool but will have very limited use in gaming. Sony's was meh. Last Guardian is any already announced game, Shenmue 3 will be good but won't be expected until 2017 (more likely 2018) and isn't even a Sony game. FF7 will be good, but that's two years away considering they just started development. Won't be hard for Nintendo to win this again. I'm super excited for this. Sony had some great games shown yesterday that really impressed me, so I'd like to see Nintendo have some big suprises today. Also, it's very unlikely, but I'd love to see a new 2D Metroid game. I want release dates, new stuff and New Nintendo 3DS XL models or even the smaller one (won't happen but I can dream). Would love a new Mario game whether it's for the 3DS or Wii U. @Mogster Plus FF7 isn't console exclusive either,apparently. @Mogster I disagree about Sony. I thought their conference was super impressive, both with known quantities (Uncharted, No Man's Sky), out-of-the-blue surprises (Final Fantasy VII remake, Shenmue), and, of course, The Last Guardian. It convinced me once and for all that the PS4 is the console to get to complement my Wii U this generation. I'm keeping my fingers crossed for Shin Megami Tensei X Fire Emblem, the next Pokemon games, and Animal Crossing Wii U. Give me that and this will be the perfect topper for Sony's gang busters conference last night. @ricklongo Absolutely, I don't understand how people though Sony's conference was bad. I mean, I guess if they hate good games then that would explain it. @Mogster Well that's the beauty of opinions. I thought Sony's was excellent, almost from top to bottom. In my opinion, and this is coming from a huge Nintendo fan, Nintendo will have its work cut out for them. I'm with @ricklongo, I think its time I add a PS4 to my living room to go alongside with beloved Wii U. New Metroid, hopefully 2D. Hopefully more Indies that will still come to WiiU such as Ori and the Blind Forest, Octodad etc. New Mario (platform)games are always welcome though that seems unlikely, since Super Mario Maker basically is just that. Mk8DLC would also excite me. Devils Third, hopefully some weird surprise no one expected..
Prime iv feels like the only thing that'll wash the Taste of shenmue flavoured deflation out my mouth at the moment hopefully nintendo are prepared n have some big surprises. If we're throwing wish lists out there, I'd just want to know that Rhythm Tengoku The Best + is being localized and perhaps a new Pilotwings for the U. With the gyro controls on the Gamepad, I'd have a lot of fun with this title returning. Maybe some love for Wuhu Island along with it. @Savino Zelda U will be 100% on Wii U.
Gamecube Virtual Console. We got the controllers already. @Mogster Not sure if you're just baiting but I thought MS had a solid conference and Sony's was even better. Nintendo will need to bring out some big guns to beat those. Metroid Prime 4 reveal would be awesome but probably wouldn't come out til next year. Then Metroid Prime Trilogy Definitive Edition for Wii U gets announced for this holiday to tide us over. I would freak the f$*# out!!! They have the amiibo leak and they choose Animal Crossing MK8 Track + Animal Crossing SSB Stage at the World Championship. Im also expecting a F-Zero Reveal since Big Blue was featured and some contestants took the F-Zero carts, probably courtesy of some Ninti influence. Im hoping for no mention of Xenoblade/Mario Maker/Wooly World as they were last years highlight, give me something unexpected that will blow my mind. @MrPuzzlez I agree. Also that they had the other Direct come out of nowhere to put out some other news to keep the REAL news for this Event tonight. Heres hoping! Punch-Out U!! StarTropics 3, Wario Land 6, F-Zero: Mega Blazer, Kid Icarus 3, Metroid U, Super Mario Sunshine 2...Make it happen Ninty! I personally don't care for Sony's Final fantasy VII remake....seeing as how I don't like Turn based RPG's to begin with even though I gave VII a shot after I got it for my B-day around the time it came out. Made it half way through the game and called it quits out of pure frustration and boredom with the TBC...And then there's 'Shenmue III" a sequel to a franchise I have absolutely zero history playing. I had the Dreamcast since launch, but Shenmue never managed to spike my interest. Anyways, Sony's E3 didn't leave a big impact on me at all, those heavy hitters don't exactly float my battletoads boat if you know what I mean. I was hoping for a Resident Evil 7 teaser, but we didn't get anything! BTW, apparently there were a few or so people crying during the unveiling of Shenmue III. Now that's what you call passion! The only time a video game has ever made me cry(ahem, back when I was about 6 or 7) was Batman on the NES......and that's only because it was hard as Frick! Generic-looking action figure getting a game all to himself, possibly spanning all genres of computer game history. That'd be kool. @IrishGamer97 Let's hope it sees a WiiU release! @WaveBoy "float my battletoads boat"
He's called Non Specific Action Figure! And he does need a game to himself. Or at least be a playable character in Smash. Alllll aboard the E3 Battletoads boat hype train! How about announcing some cross-buy so I don't have to buy NES Metroid for the 5th time... please. Wise guy eh? Take that, and that! Want a Fire Emblem anthology to complement FE 'If'. Also new Paper Mario game. New 2D Metroid could be good. A new Animal Crossing game would be fun too. Loved it on the DS, lost the 3DS copy somewhere maybe I will have to find it again! Lol. That is EXACTLY what it feels like. @whodatninja I know that but that's why it would be definitive. All three games in HD, game pad features like using the game pad as Samus' scanner and changing weapons tapping on the game pad, map on the game pad etc. Anyways it's fun to dream. @Peach64 I agree with everything you said. A price cut to go along with the Splatoon bundle needs to happen, and this is the right time and place to announce it. Galaxy 3, Sunshine 2/HD or Metroid Prime 4 would be big disappointments for me. I'm sure they could come up with something more original than that. They were all great games, but enough is enough, I don't want to be playing Metroid Prime or Mario Galaxy for eternity. Give us a new Metroid or a new Mario, something unrelated. Or even better, a new IP. I don't expect too many release dates but I could be wrong. Nintendo usually doesn't announce a release date until a couple months before release (sometimes the month before). @WaveBoy lol, good gif work! I want a new F-Zero, Luigis Mansion U, and AC Wii U. I will be intrigued by Metroid if it shows up, but I still need to take interest in Trilogy. Also, not at this E3, but some time in the future I want a sequel to Super Mario 3D World, that game was amazing. Animal Crossing is all i need before NX. But i really want zelda and star fox to be released very soon. Give me an XCX release date and Nintendo will win E3 in my book. Plenty of new stuff. Wii U especially has very promising games coming but both Nintendo consoles have pretty anaemic schedules as it stands. Paper Mario (in the style of the first two games) and Golden Sun 4 would make for an amazing Digital Event for me. @sikthvash There's already a definitive handheld version of Animal Crossing. There's not going to be another on 3DS, esp. with Happy Home Designer on the way. Would love both 2D and 3D Metroid, Kid Icarus Uprising sequel for Wii U, and new Mario & Luigi game. That's it for games really. Would like online for Star Fox and release date for Xenoblade Chronicles X. I do think Zelda U should be shown though. Feeling like a wee boy in my bed on Xmas morning,waiting for my Mum to tell me it's time to come downstairs.Really can't wait for this,going to play some Splatoon to pass the time. galaxy 3 and pikmin 4 and i'll be happy. and yes, pikmin4 with online modus, and extra maps as dlc. Since we already know Zelda won't be shown, and we already know about Starfox, the most exciting thing Nintendo could (realistically) announce would be a new Metroid on Wii U - and even that wouldn't come close to the kind of hype generated by Sony's conference. Still, looking forward to the Direct. Hopefully Iwata's still got a few tricks up his sleeve that haven't been leaked yet. @daggdroppen I can't tell if that's sarcastic or not. Just Kidding, but I'd love to see them do something big with Kid Icarus and more new IP like Splatoon. please Ninty, don´t dissapoint us. We want surprises today.Big surprises! PLEASE! @Mogster I thought Horizon looked interesting as well. I'll be curious to see more about that one. There's a lot of talk about animal crossing coming to wii u. But the creators of that series are have been invested in splatoon for a while now. I wouldn't get my hopes up. My small prediction for E3 is a remake of Metroid II for wii u alongside Retro's new Metroid reveal. Currently you can buy every Metroid game (apart from 'that' one) on the wii u except the game boy game. I expect that to change after the event. Metroid Prime 4 and Super Mario Galaxy 3 are at the top of my wishlist. Although I don't think the next main game will be announced this year. My personal dream would be a new wave race, New diddy Kong racing, a REAL open world Mario(I'd settle for sunshine HD) and some battle mode update upgrades for MK8............other than that, I LOVE surprises!! 90% 3DS stuff, 10% wii u delays. @Folkloner Agreed - far too soon! I'm happy to wait! I wouldn't mind betting there will be some sort of Mobile App / Game to tie in with the Happy Home Designer eventually. I think it will be a massive year for Nintendo, especially the Wii U. I hope we get Metroid, Animal Crossing, PunchOut, F-Zero HD (gamecube) and Mario All Stars 2 (1 game from each generation a part from this one). Plus the ones we know about Star Fox, Devils Third etc. Another DLC pack for MK8, info on Splatoon FREE DLC. Of course amiibo will get time, but doubt anyone will be able to find them when they come out. Biggest thing for 3ds will hopefully be Metroid plus the ofthers we all know. How about his though what about being able to use the new 3ds to play 2 player splatoon locally on turf war/ranked battle? I doubt it could be done but how good would that be! Very disappointed by that digital event. It was a very bad one. Besides Star Fox and maybe the new "Metroid" title, there was nothing new to see. I'm sad, really. @Bolt_Strike Two missed big opportunities, really. It is actually kind of funny to go back and read this article now. It's almost like wishing and letting your parents and grandparents know as a kid that you wanted that one special present if you got any at all and instead had that old grandparent give you the same thing that you already had last year and have to fake being excited.